GERMANY: Highland Group Holdings, a subsidiary of the Laidlaw Capital Group, has made a final investment decision (FID) on the 402MW Veja Mate offshore project in the North Sea. Highland Group Holdings, with Siemens Financial Services and Copenhagen Infrastructure Partners, has arranged the €1.9 billion in funding for the 402MW project. The financing consortium comprises German development bank KfW, Danish export credit agency Eksport Kredit Funden, and commercial banks Commerzbank, Deutsche Bank, Natixis, Santander and SMBC. Together, they take on Germany's biggest non-recourse financing to date with a volume of €1.275 billion. KfW said its €430 million in funding is the largest amount it has supplied to an offshore project since the launch of its €5 billion offshore wind energy programme in 2011. 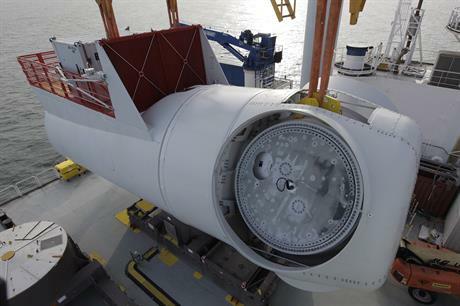 Siemens will supply 67 6MW turbines to the site 129 kilometres off the German coast, and provide servicing for 15 years. Siemens was named as preferred supplier for the project in March. Following the FID announcement, Dutch offshore firm Boskalis announced it had been awarded the foundation design and installation contract for the project. Siem Offshore had already been contracted to supply inter-array cable installation services, subject to an FID, in April. The project is expected online in 2017 after first being given a construction permit in 2009. UK Investment firm Laidlaw acquired the rights to the project from developer Bard in September 2014 for an undisclosed fee. Veja Mate is due to be connected to the BorWin2 platform. This is could prove problematic because the permitted route for the two cable systems from the Veja Mate transformer station to the BorWin 2 converter station are to run through the Bard Offshore 1 project.